Coco Hotel 18 Km. 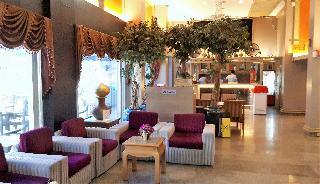 from Suvarnabhumi international Airport, Coco Hotel is located close to BITEC Exhibition Center, Mega Bangna Shopping Complex and a few minutes away from the nearest BTS Bearing station (free shuttle).Coco Hotel is a stylishly designed hotel offering a coffee shop with room service and free WiFi access. Tasteful rooms provide guests with air conditioning, a minibar and a LCD TV (32" for Superior room and 42" smart TV for Deluxe room). There are also a safety deposit box, a hairdryer, free toiletries and shower facilities. Free private parking is a available. 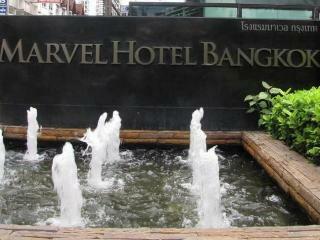 The hotel is located in the Sukhumvit area of Bangkok. The Grand Palace and the Emerald Buddha are both just 10 minutes away by car. The property is fully air-conditioned and provides guests with a wide range of amenities, including a lobby, a bar and breakfast room. 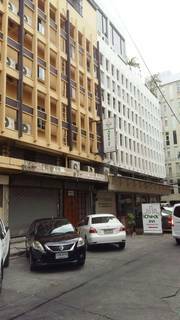 The rooms provide a calm and relaxing ambience with air conditioning, a TV with cable and coffee maker. There is an en suite bathroom with shower and a hairdryer. There is also Internet access, a safe and a minibar. There is a rooftop swimming pool and hot tub. Guests can also enjoy a relaxing Thai massage or a reflexology foot massage in their own room. A daily continental breakfast is served at the hotel's restaurant. Also Western and Thai dishes are available. The hotel is relatively easy to find. 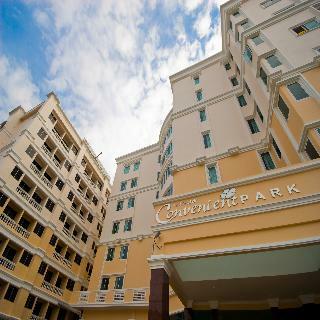 If arriving from the airport take the airport expressway and turn off onto Sukhmvit Soi 8 Road. 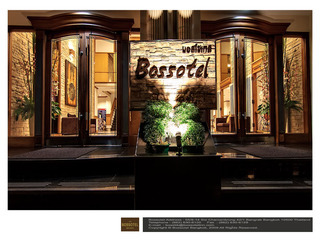 The hotel features 80 beautifully-appointed guest rooms equipped with complete amenities to ensure an enjoyable stay. Surrounded by a wealth of restaurants and bars, this stylish boutique hotel retains a signature décor, superb facilities and an excellent location, making the hotel the perfect base to enjoy a stay in Bangkok. 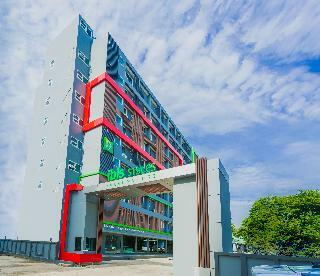 The hotel is nestled in the heart of Sukhumvit and situated only a 40-minute drive from the airport. Guests can take pleasure in touring the city's top attractions thanks to its proximity to public transportation links. The sky train station is just a short stroll away from the hotel, making it an ideal choice for business and leisure travellers alike. Stay in the Heart of Bangkok – Show mapLocated in Bangkok's Sukhumvit area, iCheck inn Sukhumvit 19 is a 3-minute walk from Asok BTS Skytrain Station and Terminal 21 Shopping Mall. It is within walking distance from several shopping options. Free WiFi is provided.Modern rooms at iCheck inn Sukhumvit 19 are equipped with a flat-screen satellite TV, minibar and safety deposit box.The hotel offers laundry and ironing services. 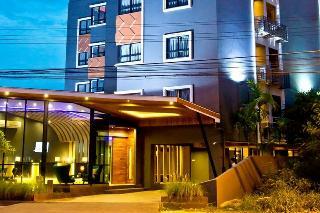 There are ATMs and a 24-hour mini-mart within 20 m from the hotel.iCheck inn Sukhumvit 19 is a 40-minute drive to Suvarnabhumi International Airport.